Just found this bit- maybe Mary Clayton is her real name? "Mary Clayton was born and brought up in Cornwall, and read History at Oxford University. After university she went to America as a Fulbright English-Speaking Union Fellow to Ann Arbor, Michigan, where she taught in the History Department. She has lived in England, Denmark and Italy, and now divides her time between America and Europe. As Mary Lide and Mary Lomer, the author has written historical novels and sagas. Mary Clayton's previous novels featuring ex-Inspector John Reynolds, Pearls Before Swine, Dead Men's Bones, The Prodigal's Return and The Word is Death.."
This is my cover for "The Hawks of Sedgemont" aka "Royal Quest"
Bk 3 in the "Ann of Cambrai Chronicle" trilogy. This p/b ed. pub. Sphere Books, 1988. I remember both those covers from the library - you are so right about the head! I loved the Hawks of Sedgemont cover -a favourite at the time. I'm about 50 pages into Fortune's Knave and it's not grabbing me yet. I have a feeling this might be a YA book, but still early going. I'm just not getting anything *new* on William and feel like I've been there done that. 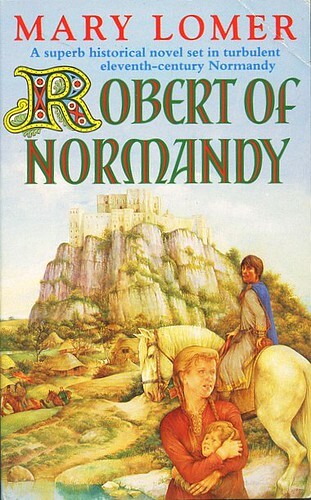 I'm enjoying "Robert of Normandy", but I haven't read any other novels about Duke Robert, so I haven't got any comparisons to make. It's a historical adventure/romance with quite a bit of historical detail about a period not often covered in fiction. 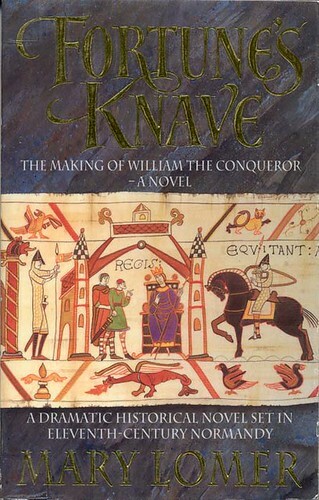 I still feel that Wingrove's novel about William is the benchmark. Btw, do you want the Mary Lomer cover for "Fortune's Knave"? Last edited by annis on Sat March 27th, 2010, 1:42 am, edited 2 times in total. Thanks for the cover Annis. We can never get enough of those. I just finished FK's with much skimming. It felt like YA but there were a couple of scenes towards the end, while tame by today's standards, would definitely put in more towards a romance genre. Honestly, I didn't get anything new from the book then I've read from Anad and Hollick. I do want to try a few more of her books though. Given that she was an academic historian, ML could probably have created novels of much greater depth. I'm guessing that she was steered in the direction of historical fiction with a lighter romance bias as being more marketable. I suspect that the "Ann of Cambrai Chronicle" was probably her best work. While I'm enjoying "Robert of Normandy", it's not a heavy-weight novel- I'd most likely give it 3 to 3.5 stars if I had to rate it. Just remembered I have come across Duke Robert in fiction before- he makes a brief appearance in Jack Ludlow's "Mercenaries", the first part in a trilogy about the Norman de Hauteville family. Last edited by annis on Sat March 27th, 2010, 3:38 am, edited 4 times in total. 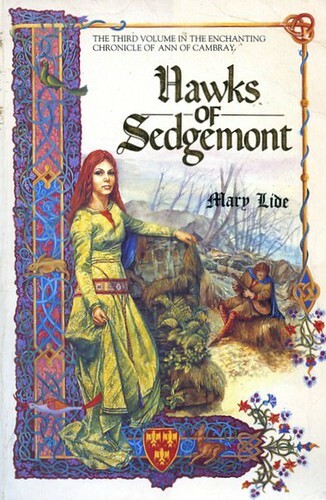 Interest in HF: Searching on Mary Lide to see if she's authored any novels I haven't read. Without a doubt 1 of the most enjoyable books I've ever read about once every 10 years. Also her trilogy beginning with Ann of Cambray. Was so glad there were 2 more so the story carried on. Wish Isobelle had. I would have loved to follow that story past the ending. Considering Mary Lide's age, I'm sure these treasures will be her legacy.